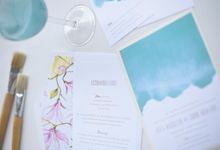 After the engagement, we jumped into action on the wedding planning. 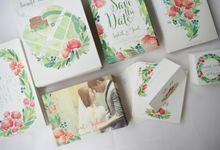 We have always wanted to keep the engagement theme; Enchanted Garden. 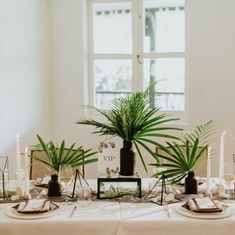 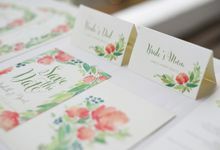 However, in Singapore it is pretty challenging to find vendors who is willing to customize all the wedding stationeries according to your theme and choices of color. 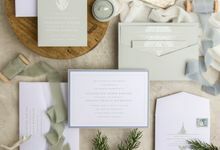 And we were so lucky to have met Paper Pressed, to have the opportunity to work with the team and their international designers. 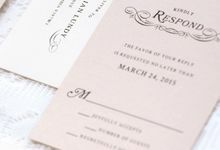 I have to agree that we are one demanding couple, but Paper Pressed nailed on every request with great patience and quality standards. 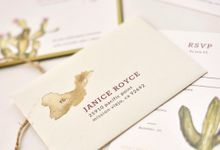 We are very impressed with the service and end products. 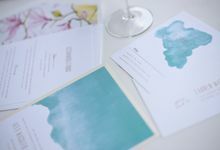 Our wedding guests, used our wedding cards and save-the-dates as office decorations and display. 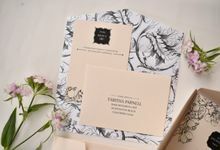 Everyone was captivated by the beautifully designed guest signature book. 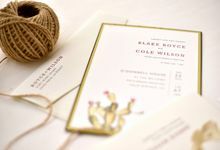 It was a great pleasure working with the team, and we leave all the wedding stationeries in their hands while we crack our brains on other wedding matters. 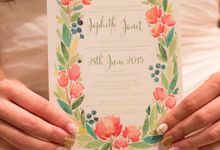 We would highly recommend all couples to the team, pop by at their cosy office and just the sharing session will keep you excited for the BIG DAY! 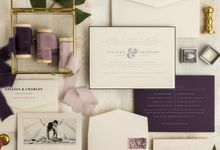 All the best to all the wedding couples on this amazing journey together; as Two becomes One. 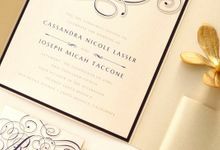 Depending on the requirement of client, average turn-around time is between 2-3 months. 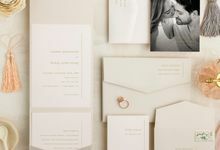 3 months in advance would be preferable. 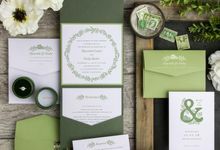 We offer mix and match line of fine stationery that offers do-it-yourself pieces and parts, as well as full-service completed invitations. 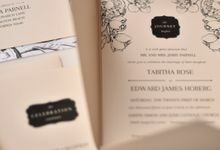 We enthusiastically deliver high quality products and designs that can capture the look and feel of the occasion that deserves special attention. 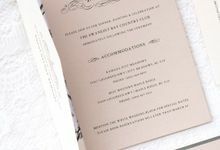 50% upon confirmation of project, 50% upon approval of final artwork, prior to print. 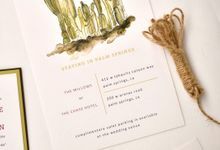 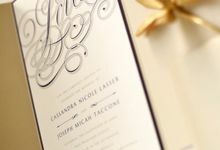 Paper Pressed specialize in customized wedding stationary ranging from modern contemporary to vintage designs. 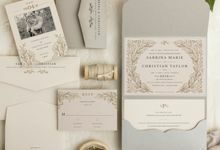 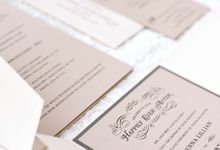 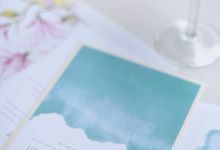 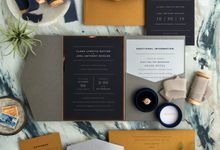 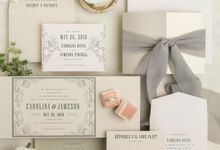 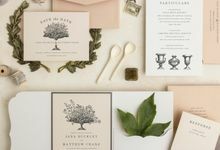 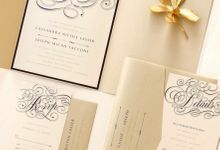 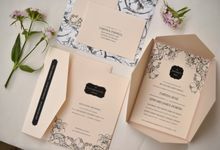 With hundreds of invitations designs, so whether you are searching for modern wedding invitations to complement your contemporary reception to vintage styled ceremony, we have all your stationary needs covered. 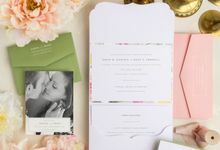 Do visit our studio to see our latest range of wedding stationary essentials to find a design that is right for you.